Here is a thought-provoking essay by Andrew Keen. You can also find it HERE. This topic is something we of the facebook generation ought to ponder seriously. Every so often, when I’m in Amsterdam, I visit the Rijksmuseum to remind myself about the history of privacy. 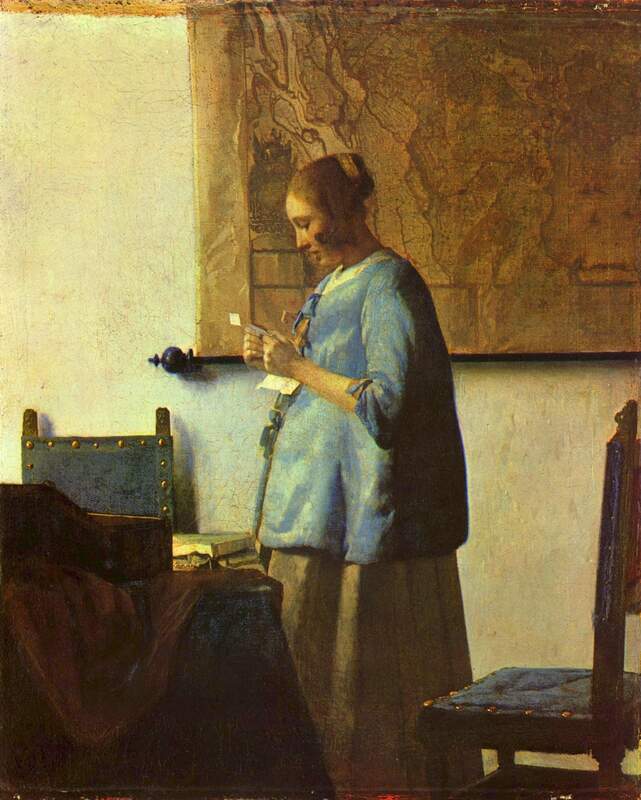 I go there to gaze at a picture called The Woman in Blue Reading a Letter, which was painted by Jan Vermeer in 1663. It is of an unidentified Dutch woman avidly reading a letter. Vermeer’s picture, to borrow a phrase from privacy advocates Louis Brandeis and Samuel Warren, is a celebration of the “sacred precincts of private and domestic life”. It’s as if the artist had kept his distance in order to capture the young woman, cocooned in her private world, at her least socially visible. Today, as social media continues radically to transform how we communicate and interact, I can’t help thinking with a heavy heart about The Woman in Blue. You see, in the networking age of Facebook, Twitter and Foursquare, the social invisibility that Vermeer so memorably captured is, to excuse the pun, disappearing. That’s because, as every Silicon Valley notable, from Eric Schmidt to Mark Zuckerberg, has publicly acknowledged, privacy is dead: a casualty of the cult of the social. Everything and everyone on the internet is becoming collaborative. The future is, in a word, social. On this future network, we will all know what everyone is doing all the time. It will be the central intelligence agency for 21st century life. As Don Tapscott and Anthony D Williams argue in their 2010 book Macrowikinomics, today’s “age of network intelligence” represents a “turning point in history” equivalent to the Renaissance. They are, in a sense, right. On today’s internet everything we do — from our use of ecommerce, location services and email to online search, advertising and entertainment — is increasingly open and transparent. And it is this increasingly ubiquitous social network — fuelled by our billions of confessional tweets and narcissistic updates — that is invading the “sacred precincts” of private and domestic life. Every so often, when I’m in London, I visit University College to remind myself about the future of privacy. I go there to visit the tomb of the utilitarian social reformer Jeremy Bentham, a glass-and-wood mausoleum he dubbed his “AutoIcon”, from which the philosopher’s waxy corpse has been watching over us for the last 150 years. It was Bentham, you see, who, in 1787, at the dawn of the industrial age, designed what he called a “simple idea in architecture” to improve the management of social institutions, from prisons and asylums to workhouses and schools. Bentham imagined a physical network of small rooms in which we would be inspected “every instant of time”. He named a tract after his idea, calling it, without irony, Panopticon; or, the Inspection House. Bentham’s goal was the elimination of mystery and privacy. Everything, for this utilitarian inventor of the greatest-happiness principle, would become shared and thus social. In Bentham’s perfectly efficient and transparent world, there would be nowhere for anyone to hide. Unfortunately, Bentham’s panopticon was a dark premonition. The mass mechanical age of the telegraph, the factory and the motion-picture camera created the physical architecture to transform everyone into exhibits — always observable by our Big Brothers in government, commerce and media. In the industrial age, factories, schools, prisons and, most ominously, entire political systems were built upon this technology of collective surveillance. The last 200 years have indeed been the age of the great exhibition. Yet nobody in the industrial era actually wanted to become artefacts in this collective exhibition. The great critics of mass society — from John Stuart Mill, Warren and Brandeis to George Orwell, Franz Kafka and Michel Foucault — tried to shield individual privacy from the panopticon’s always-on gaze. As Foucault warned, “visibility is a trap.” So, from Mill’s solitary free thinker in On Liberty to Josef K in The Trial and Winston Smith in 1984, the hero of the mass industrial age is the individual who takes pleasure in his own invisibility, who turns his back on the camera, who — in the timeless defence of privacy from Warren and Brandeis — just wants to be “let alone”. Yet now, at the dusk of the industrial and the dawn of the digital age, Bentham’s simple idea of architecture has returned. But history never repeats itself, not identically, at least. Today, as the internet evolves from a platform for data into a space for people, the panopticon has reappeared with a chilling twist. What we once saw as a prison is now considered a playground; what was considered pain is today viewed as pleasure. The age of the great exhibition is being replaced by the age of great exhibitionism. Today’s “simple architecture” is the internet, that ever-expanding network of networks combining the global web of personal computers, the wireless world of handheld devices and other “smart” social products such as connected televisions and gaming consoles, in which around a quarter of the Earth’s population has already taken up residency. With its two billion digitally connected souls and five billion connected devices, the network can house an infinite number of rooms. This is a global building that, more than two centuries after Bentham sketched his design, allows us to be inspected every instant. This digital world — described by New York University’s Clay Shirky as the “connective tissue of society” and by US secretary of state Hillary Clinton as the new “nervous system of the planet” — has been designed to keep us forever on show in our networked crystalline palaces. And today, in an age of transparent online communities such as Twitter, LinkedIn and Facebook, the social has become, in Shirky’s words, the “default setting” on the internet, thereby transforming digital technology from a tool of our “second lives” into a central part of real life. But this real life could have been choreographed by Bentham. As Shirky notes, popular geolocation services such as Foursquare, Gowalla, Google Latitude and Facebook Places, which enable us to “effectively see through walls” and know the exact location of all our friends, are making society more “legible” and allowing us to be read “like a book”. No wonder, then, that Jeff Jarvis, one of the leading apostles of what he calls “publicness”, promises that social media will make us all immortal. No wonder, either, that, as the American journalist Katie Roiphe has observed, “Facebook is the novel we are all writing.” We are becoming WikiLeakers of our own lives. There has been a massive increase in what Shirky calls “self-produced” legibility. This contemporary mania with self-expression is what two leading American psychologists, Jean Twenge and Keith Campbell, have described as “the narcissism epidemic” — a self-promotional madness driven, they say, by our need to broadcast our uniqueness to the world. While social media, for all its superhuman ability to see through walls, might not quite guarantee immortality, its impact is certainly of immense historical significance, equal, in its own way, to the early industrial revolution. As the venture capitalist John Doerr, a partner at the blue-chip firm Kleiner Perkins, has argued, the “social” represents “the great third wave” of technological innovation, after the invention of the personal computer and the internet. Such is Doerr’s confidence in this social revolution that, in October 2010, in partnership with Facebook and the gaming social network Zynga, Kleiner Perkins launched the $250 million sFund dedicated to putting money into social businesses. Once oriented around the distribution of data, internet innovation is now increasingly focused on social products, services and platforms. Google’s data-driven “links” economy is being replaced by Facebook’s people-powered “likes”. The integration of our personal data — our “social graph” — into online content is becoming the driver of internet innovation. There is now Facebook-powered social search from the Bing and Blekko search engines; social internet browsers such as RockMelt and Firefox; social music from Pandora and the iTunes Ping network; social reading on the Kindle and the iPad; social photos from Google’s image-sharing platform Picasa; social “location tracking” on Google Maps; socially produced news from The Washington Post and The New York Times; socially produced information on Quora; a growing infestation of social networks for kids such as the eerily named Togetherville; and, most troublingly of all, medical informational networks such as 23andMe, with the power to transform our DNA records into socially distributed products. There are services such as Klout that quantify our social influence in this new “reputation” economy and CafeBots, Kleiner’s first sFund investment, which provides a Friend Relationship Management (FRM) system for the influencers of this new reputation economy. Then there are multimillion-dollar networks such as Groupon and LivingSocial that transform individual commerce into a social activity; well-backed start-ups such as Miso and Philo that reveal what we are watching on television; and, most bizarrely, quickly growing social-ecommerce web platforms and services such as Blippy and Swipely that publish all our credit-card purchases. The digital networking of the world is both relentless and inevitable. A report from media-research company Nielsen revealed that in June 2010 Americans spent almost 23 per cent of their online time using social-media networking — up a staggering 43 per cent year on year, with use among 50 to 64-year-olds almost doubling in this period. Facebook, with more than half a billion members investing more than 700 billion of their minutes per month on the network, is expected to hit a billion members within the next 12 months. By the end of 2011, half of all American consumers are expected to own networked smartphones, thereby sweeping them into the social-media maelstrom. Like it or not, Tapscott and Williams’s “age of network intelligence” is imminent — the only question is how intelligent we really all will be in this brave new social world. And all this, I’m afraid, is just the early stages of the social-media revolution. The CEO of Ericsson has predicted that there will be 50 billion connected devices by 2020, making the network more and more invasive and visible. Meanwhile, Mark Zuckerberg, the smiling utilitarian at the heart of this social darkness, has even come up with his own law to imagine the future of the trap he is laying for us all. “I would expect that next year people will share twice as much information as they share this year, and the next year they will be sharing twice as much as they did before,” Zuckerberg’s Law states. Zuckerberg’s ideas on “sharing” could have been invented by Kafka. Just as Josef K unwittingly shared all his known and unknown information with the authorities, so we are now all sharing our most intimate spiritual, economic and medical information with all the myriad “free” social-media services, products and platforms. And, given that the dominant business model of all this social-media economy is advertising sales, it is inevitable that all this data will end up in the hands of our corporate advertising “friends”. That’s why Facebook, a six-year-old, barely profitable new-media company with little proprietary technology of its own, was valued recently at about $50 billion. Zuckerberg is taking Bentham’s ideas to their ultimate conclusion, and the result is a panopticon in which privacy is relegated like an historical artefact. Facebook even has the audacity, in good Benthamite fashion, to be developing a “Gross Happiness Index” which will supposedly quantify and thus own global sentiment, making the social network the central bank of our new public socio-informational economy. Today’s digital social network is a trap. Today’s cult of the social, peddled by an unholy alliance of Silicon Valley entrepreneurs and communitarian idealists, is rooted in a misunderstanding of the human condition. The truth is that we aren’t naturally social beings. Instead, as Vermeer reminds us in The Woman in Blue, human happiness is really about being left alone. On Liberty, the 1859 essay by Bentham’s godson and former acolyte, John Stuart Mill, remains a classic defence of individual rights in the age of the industrial network and its tyranny of the majority. Today, as we struggle to make sense of the impact of the internet revolution, we need an equivalent On Digital Liberty to protect the right to privacy in the social-media age. Tapscott and Williams believe that the age of networked intelligence will be equal to the Renaissance in its significance. But what if they are wrong? What if the digital revolution, because of its disregard for the right of individual privacy, becomes a new dark ages? And what if all that is left of individual privacy by the end of the 21st century exists in museums alongside Vermeer’s Woman in Blue? Then what?